Inspired by the Super Bowl, which is being played in suburban New Jersey, but which is being celebrated by a wide variety of activities held in New York City, that is Manhattan, Capital has a piece, "Beyond local," about how NYC-area railroad services are not integrated in a manner that includes NJ. This is the result of historical reasons, about how the separateness of separate rail companies was maintained in a manner that reflected state boundaries. The New York and Connecticut related services, when the companies abandoned passenger rail service, fell under the control of New York State with an assist from Connecticut, while New Jersey went its own way (although NJ Transit provides some service to New York State on a contract basis, on two lines that start in New Jersey). The article has a powerful graphic to illustrate the idea of the power of a combined service. Do you agree about the graphics? The Capital article is good and covers the historical reasons for the separated services in great depth, but I think failed to include other equally compelling examples that would support the argument. Philadelphia. In the US, the best example of a different treatment of separated railroad services is in Greater Philadelphia, where the separate "commuter" services of the Reading Railroad and the Pennsylvania Railroad were merged into one system. Just as how Penn Station was created to serve the PRR and their wholly-owned subsidiary the LIRR, Grand Central Station served the operations of the New York Central Railroad and there were no railroad connections between them, while many NJ-based railroad passenger services terminated in NJ, Philadelphia had two separate local stations (Suburban Station for the PRR and Reading Station for the Reading) plus the main inter-city railroad station, 30th Street Station, also serving the PRR and PRR's local services. Even before the services were merged, building a tunnel connecting the stations, called the "Center City Commuter Connection" project, had been studied since the 1950s and was incorporated into the 1960 Philadelphia Comprehensive Land Use Plan. But it was not until 1978 when construction began, and it took six years to finish, a year after SEPTA, the Southeastern Pennsylvania Transportation Authority, took control of the railroad passenger services that had been under control of Conrail, the successor to both Reading and PRR/Penn Central. Note that separately NJ Transit does have one line that terminates at 30th Street Station, plus the separate PATCO train service operated by the Port Authority, provides heavy service between Philadelphia and points in NJ. DC-Baltimore-Northern Virginia. The same thing that happened in Greater New York happened in the DC region, resulting in separated services. When the Baltimore and Ohio and Penn Central railroad ended local passenger service, the State of Maryland picked up the slack, while the State of Virginia did not (there "local" service was provided by a different CSX-controlled line, the Richmond, Fredericksburg, and Potomac), so Maryland and DC continued to have local railroad service, while Northern Virginia did not. And it took until the 1990s for service to be restored in Virginia, with the creation of the Virginia Railway Express. My proposed "RACER" service. 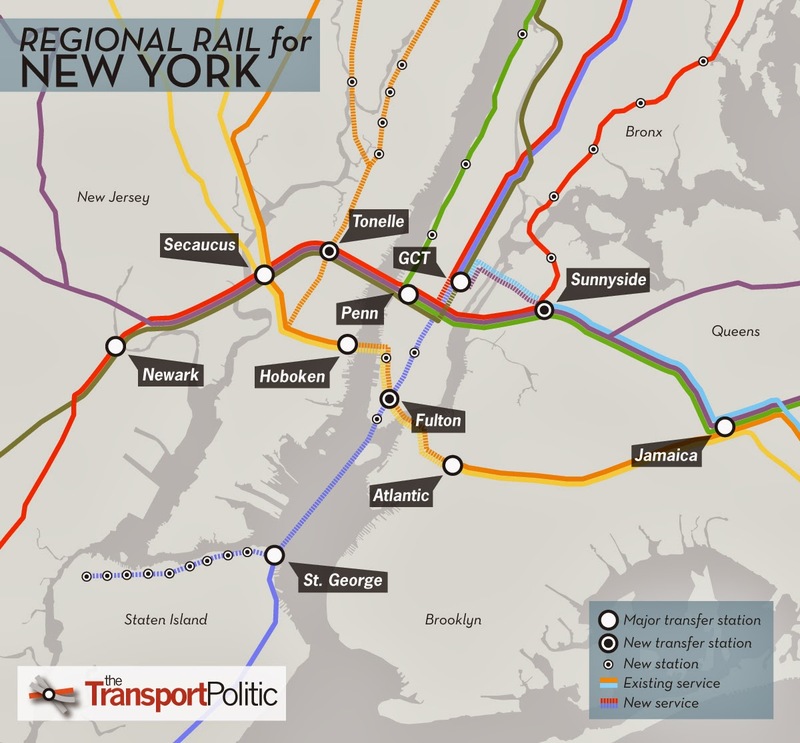 Taking up arguments that I was introduced to by Dan Malouff of Beyond DC (map graphic above), for many years I've argued ("Regional transportation planning and fixed rail service") that like in Greater New York City, the separate railroad authorities should be merged into one cross-jurisdictional authority. This would provide integrated service in Maryland, DC, and Virginia, with service to certain portions of West Virginia, Pennsylvania, and Delaware. I call the concept "RACER," for the "Railroad Authority of the Chesapeake Region." Maine's Northern New England Passenger Rail Authority, ensuring the continuance of Amtrak service from Boston, is another good example of such an authority. London's Overground. In North America, Toronto and Montreal have extensive railroad passenger services complementing shorter distance transit services, plus Chicago, as do many cities in Europe such as Paris, Berlin, and London. London is more akin to New York in that the services are offered by a variety of operators, whereas in Paris and Berlin and Montreal and Toronto there is one primary railroad passenger provider, and there are multiple stations throughout the city. 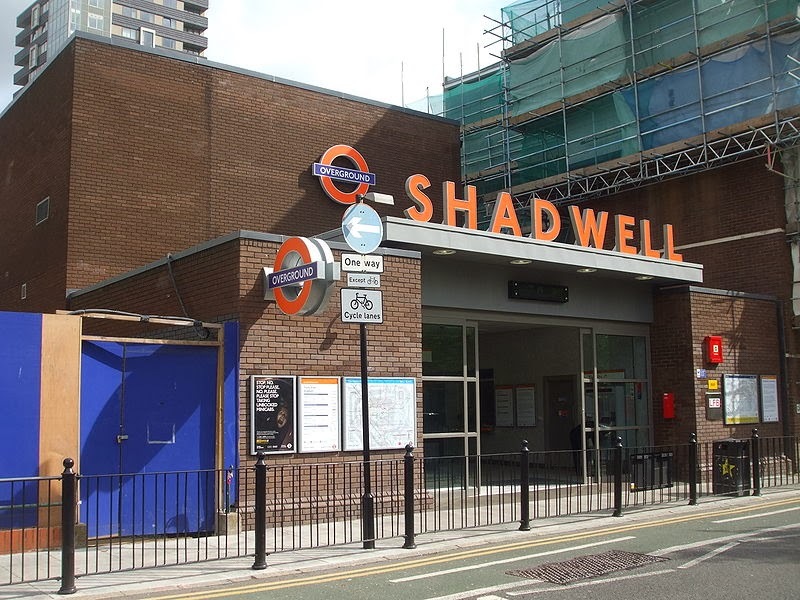 Image of the Shadwell station from Wikipedia. Note how the logo identifying the Overground is a derivation of the roundel logo of the Underground. The "Overground" is a service integration and branding program by Transport for London that focused on reconfiguring surface railroad passenger service in a manner that operates comparable to "the Tube," the Underground subway system. The London Overground is an urban and suburban rail network that was established in 2007. The six lines cover 53.4 miles and has 83 stations. Though a TfL-branded service, the Overground is part of the National Rail network, operated by London Overground Rail Operations (LOROL). TfL sets fares, procures rolling stock and determines service levels. “The Overground was originally two or three lines which are orbital rather than radial so they go around London in the suburbs,” Hendy explained. “We were originally given them I think really because nobody knew what to do with them. “So we did up the stations, we have new trains and we’ve had an enormous upsurge in patronage.” To the extent that they’ve had to extend the length of the train to accommodate ridership. He said they’ve proved that part of the national railway network could be turned into a good urban railway by applying metro principals to it: very frequent train service, attractive stations and new trains. Again, Transport Politic had an article proposing a similar kind of idea, how the Long Island Railroad could operate as more of a local service as it travels through Queens--the service is focused more on bringing commuters from Long Island to the city and not so much on providing "transit" equivalent service within the city. 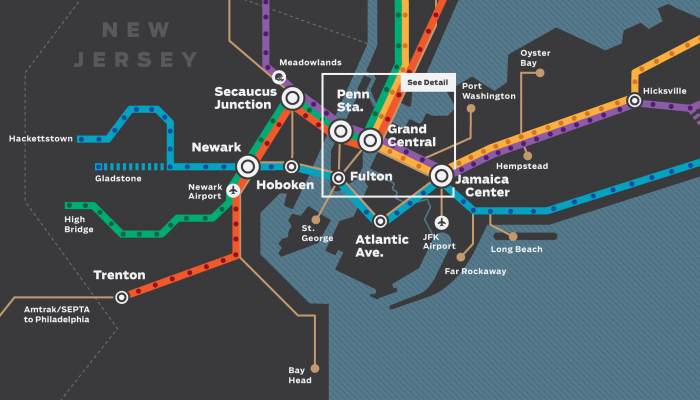 See "Expanding Transit Access to Southeast Queens." Conclusion: Get these concepts into local land use and transportation plans. The big question is how to get local governments to take on these kinds of projects. London Overground is one example. The "Center City Commuter Connection" in Philadelphia is another. 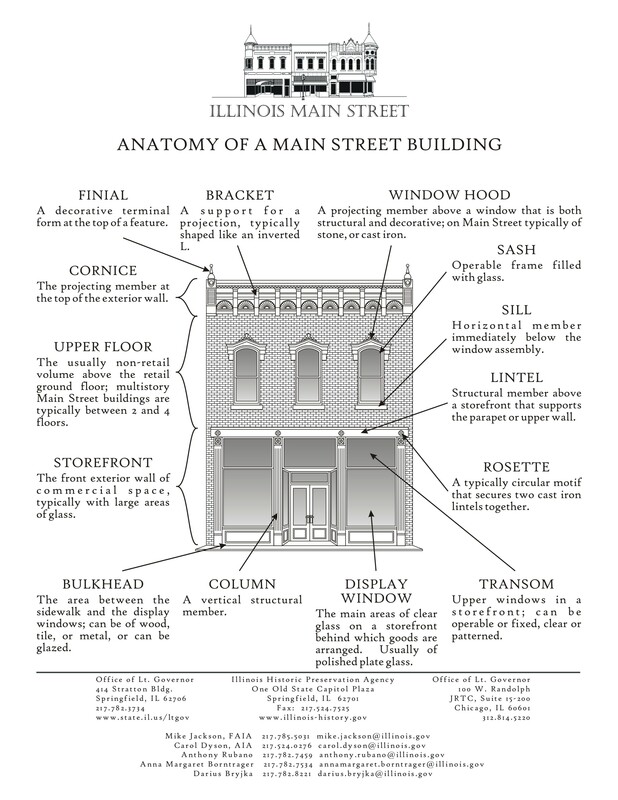 I think the big thing is to lay out the concepts, and get them into the local plans. Otherwise, they remain as ideas expressed by train groupies, and aren't taken seriously as policy. a rail line should be put in that goes out route 50 to Annapolis and even over the Bay to the eastern shore. the eastern parts of the Baltimore Washington area are mostly left out of developements in rail or transit. Agreed. The thing about historical railroad service on the Eastern shore is that it emanated from the Delmarva Peninsula, not Baltimore. The reason that Dan's original graphic doesn't include a line that goes south (e.g., to Charles County) is at the time he did the map graphic, Maryland was looking at light rail service in Charles County. Oh, I was at the Lib. of Congress, and they had an old Official Railway Guide on display from the 1880s I think. I looked at the page for the Northern Central Railroad, which ran from Baltimore to York, or so I thought. The NCR is the basis of the Baltimore light rail line, as well as the NCR bike and walking trail that goes from Cockeysville in Baltimore County to York, PA. I was shocked to see that back in the day the NCR went past York, past Harrisburg, all the way to Elmira, NY. I can't remember, it might have gone to the banks of Lake Ontario. my dad used to talk about riding the old Chesapeake Beach railroad line that started out at a station at Benning Road and ended at the Bay resort town. The row is still extant most of the way and it puzzles me why no one has thought to reuse it for a new rail line. Evidently the old CB line went defunct by the 1940's or so. Dad said they had old Pullamn carriages with velvet upholstery that was all ragged by the time he was a boy in the 1930's and there was no air conditioning so people would open up the windows and smoke from the coal burning steam engines would waft into the compartment. Perhaps if a new line were put in eventually it could cross the Bay somehow. Rail to the Eastern Shore makes Absolutely. No. Sense. Where are the nodes of density along the route? Where would it terminate? Job centers? What's the purpose? Delmarva rail routes went North/South, and connected to Philadelphia. All the towns along Route 13 and 113 sprang up due to the railroad, and the roads were later built parallel to the RR. Anything east/west got transferred to ferries, and this was primarily agricultural goods, not people. I am from the the peninsula. I can see the logic of perhaps one day extending rail service down from Philly, Wilmington, Newark, and maybe part way down New Castle County using existing ROw. This would be logical to connect towns in parts of DE to job centers in the north and Philadelphia. Although still of questionable economic development value, I'm still willing to consider the possibility that rail service could one day revive the old towns along the RR, help revitalize historic downtowns, and create new housing markets that would encourage restoration and redevelopment of old housing stock in those towns. 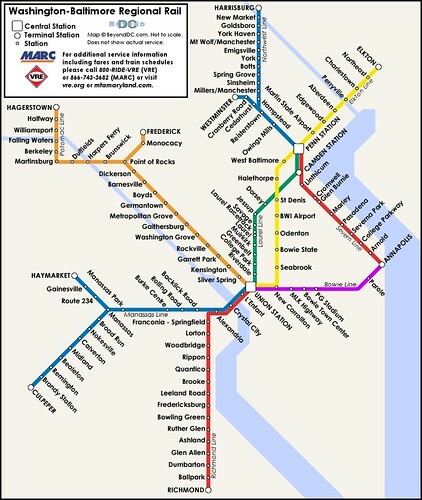 A MD east/west route would be fantastically expensive with no logical nodes to connect, and no clear purpose. But MD it would not surprise me if MD was stupid enough to pursue it. I pray to g*d none of my tax money gets confiscated for it. For Ocean City perhaps?? PUHLEEZ. One big storm and that oversized trailer park gets swallowed up into the sea, and its not too far off. There are million more worthwhile projects, and better things to fantasize about than a railroad spanning the bay. Talk of such a ridiculous scheme surfaces regularly on blogs like this, GGW, etc. Its like the recurring "Nova ought to join with DC to form a new state" or other such nonsense circle jerks. Completely impossible, impractical, and not-gonna-happen, but people sure get turned on by bringing up the idea over & over.